Munich – When Arsenal FC host FC Bayern München in the last 16 of the UEFA Champions League on Wednesday, it will be a particularly special occasion for home team manager Arsene Wenger. The Frenchman is, after all, a declared fan of German football. 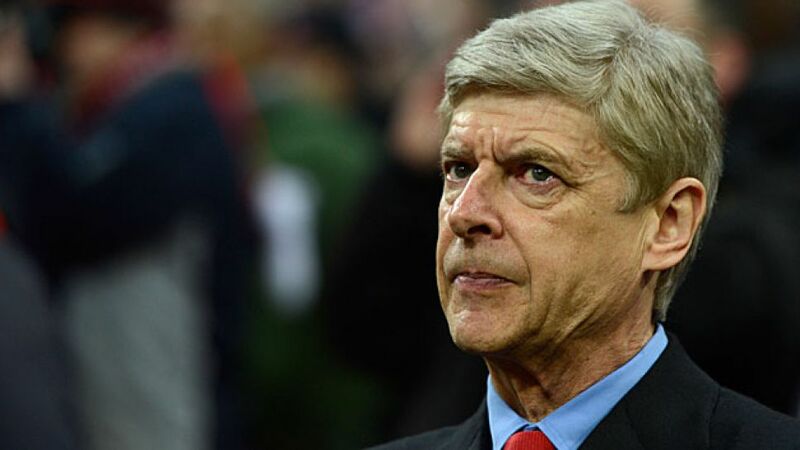 Wenger has been in charge of the London club for 18 years and the record of longevity set by Sir Alex Ferguson, who managed Manchester United for 27 years before retiring last summer, is slowly starting to look at risk. His contract may be up for renewal this summer, but the 64-year-old is not interested in returning to France – his heart still beats for Arsenal. Since joining the Gunners in 1996, he has shed the 'boring, boring Arsenal' image, developing a side renowned for playing some of the most attractive football in England, if not in Europe. The speed of their one-touch passing, and transition from defence to attack helped Wenger's side win the Premier League title in 2004 as the only English club to go an entire season without losing a single match. On the European stage, he almost lifted the Champions League in 2006, going down 2-1 to FC Barcelona in the final after losing former German international goalkeeper Jens Lehmann to a first-half red card. His penchant for German players did not end with Lehmann, however. He now has five on his books, and is looking to deliver the club's first piece of silverware 2005 with a trio of Bundesliga-bred talents. Per Mertesacker was first to arrive in 2011 from SV Werder Bremen with Lukas Podolski joining him a year later from 1. FC Köln. Former Bremen and FC Schalke 04 attacking midfielder Mesut Özil completed the trio six months ago, arriving from Real Madrid CF. German youngsters Serge Gnabry and Gedion Zelalem are also on the Arsenal's books and "have the world at their feet" as The Guardian recently posited. Zelalem was not even born when Wenger took charge of the Gunners. He was born six months later, on 26 January 1997. Having made his debut as a 16-year-old three weeks ago in the Cup win over Coventry City FC, the son of Ethiopian immigrants to Germany who came through Hertha Berlin's youth ranks is further proof of Wenger's love for German football. "The fact is, German players have a top level of training," Wenger said. "They have a very good attitude and they have everything you need – technique, skill and fighting spirit. When I used to live in Alsace, I would watch the Bundesliga on TV each Saturday. It was an important date in my diary – practically a duty to watch it." "I love the way Germans live football. In every German village, people are talking about the game in its finest details over a beer. Tactics, skills – everything is mentioned. Football does not have such a strong role in French culture." Wenger will now use what he has learned about German football and footballers to try to get one over Germany's leading club, FC Bayern, hoping to end a run of three straight home defeats to Bundesliga sides in Europe's premier club competition.